Below is a comprehensive list of hotels in Catsfield. Use the sort links to refine your search or to find featured accommodation in Catsfield. Many of our hotels in Catsfield feature no booking fees and best price guarantee when booked through the Pictures of England website. To list your hotel in Catsfield, click here. Located 44 km from Brighton & Hove and 19 km from Eastbourne, Millers Oast offers pet-friendly accommodation in Battle. The unit is 10 km from Hasting..
Alpaca Cottage is a holiday home set in Catsfield in the East Sussex Region and is 43 km from Brighton & Hove. The property is 17 km from Eastbourne a..
Henley Cottage is a holiday home situated in Catsfield in the East Sussex Region and featuring a garden with a barbecue. It provides free private park.. Located in Battle, 43 km from Brighton & Hove, Chantlers B & B features free WiFi access and free private parking. All rooms are equipped with a flat.. Located 42 km from Brighton & Hove, The Thatched Cottage offers accommodation in Battle. It provides free private parking. Free WiFi is featured throu.. The Byre is a holiday home is located in Ninfield and is 41 km from Brighton & Hove. The property is 17 km from Eastbourne and boasts views of the gar.. Situated in Ninfield, this holiday home is 41 km from Brighton & Hove. 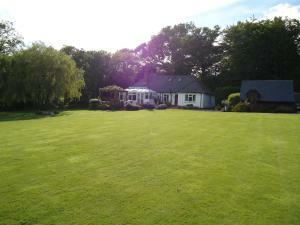 The property is 17 km from Eastbourne and boasts views of the garden. The kitc.. Located at the end of a quiet farm lane, St Benedicts Byre B&B is just 15 minutes’ drive from the historic coastal town of Hastings. Guests can enjo..
Set in Ashburnham, this holiday home features a barbecue. The unit is 41 km from Brighton & Hove. There is a dining area and a kitchen. Towels and be..
Woodside B&B is set in Crowhurst, between Battle and Hastings, within a 15-minute drive from the south coast and just a 7-minute walk from the Crowhur..
Evergreen is a holiday home is located in Crowhurst and is 46 km from Brighton & Hove. The property is 20 km from Eastbourne and boasts views of the c.. The Old Dairy offers pet-friendly accommodation in Battle, 45 km from Brighton & Hove and 22 km from Eastbourne. The property is 12 km from Hastings a.. The Granary offers pet-friendly accommodation in Penhurst. The property is 41 km from Brighton & Hove and boasts views of the garden. 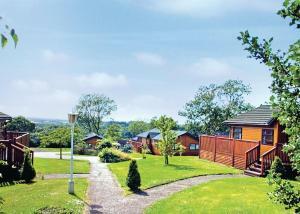 The kitchen com..
Offering a children's playground and spa centre, Crowhurst Park is located in Sedlescombe. Brighton & Hove is 48 km away. Free WiFi is featured . 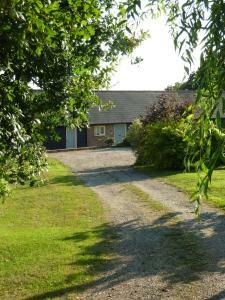 The..
Rocksfarm Cottage is a holiday home with a garden, located in Penhurst in the East Sussex Region. The property is 40 km from Brighton & Hove and free ..
Henley Bridge Holiday Cottage offers accommodation in Ashburnham, 38 km from Brighton & Hove. The property is 16 km from Eastbourne and boasts views o..
Set in Wartling in the East Sussex Region, this holiday home features a garden with a barbecue. The property boasts views of the garden and is 39 km f..
Set in Westfield in the East Sussex Region, this holiday home is 49 km from Brighton & Hove. The unit is 22 km from Eastbourne. Free WiFi is featured .. Located 9 km from Bodiam Castle and 12 km from Great Dixter, Old Post Office Cottage offers accommodation in Robertsbridge. It provides free private p..